At the end of March, at the Google Mobile Developers Day during GDC 2019, Google announced several updates of the Google Play Store. They are aimed at improving the game development experience on Android and supporting the overall growth of the mobile games market. Surely, all these updates will affect both app and mobile game developers. 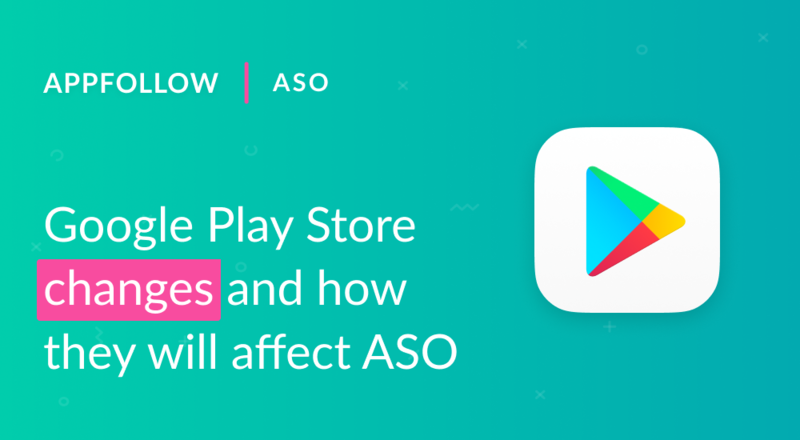 How will they change ASO game in particular and what Android developers will need to do to win in Google Play we are discussing below. Google Play now allows you to create separate app pages targeting different countries. Before, when doing App Store Optimization for Android apps and games it was possible to target users only by the language they use with no differentiation by the country. Now, Google Play allows you to dig even deeper and choose specific countries using metadata with their own traditions and cultural assets in order to catch user attention, increasing your app visibility and conversion rate. 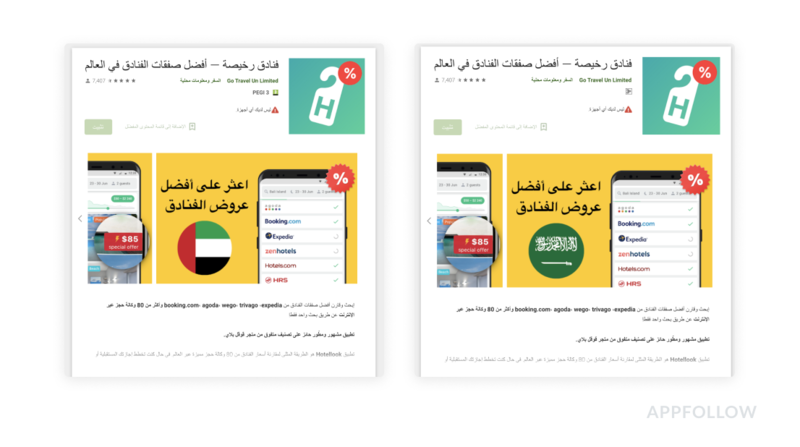 For example, you can use different screenshots for Arabic language speakers in Saudi Arabia and the UAE creating images with flags or other images relevant to the specific country (as shown in the example below). This way you’ll increase your apps or games conversion rate to install with relevant targeted metadata. After Google announced the launch of pre-registration almost 4 years ago, gaining momentum for your upcoming releases became easier. But the Google Mobile Developer Day at GDC 2019 brought even more opportunities: now every single developer can publish an announcement of app or game release worldwide and it will be shown to every single user. With pre-registration campaigns, you can gather a wider audience that will be notified once the app is available for download. Having your app or game in the pre-registration mode will allow you gain users right in the moment of the launch and get feedback right on day 1, letting you fix possible bugs and adjust your product roadmap. Getting in the pre-registration section of the Google Play Store will anyway increase your chances of getting more users, but don’t forget about the basics. Now catchy icons, screenshots, and texts become even more important. Automatic notification to your users on the D-Day will definitely increase your app’s or game’s installs. According to the Google report, games that have already used pre-registration noticed a better D1 and D7 volume of installs and 38% conversion to install on average. Google recommends running a separate beta campaign in a different geographical location to test the product before releasing it to a wider audience. By the way, don’t forget to monitor and reply to reviews on your beta app. With our Reply-to-Reviews tool, you can receive them in your Slack, Zendesk, Helpshift or our dashboard and simply reply to them without switching back to the Google Play Store. Google Play A/B tests now have 2 new metrics for more convenient and accurate performance analysis of your app listing: first-time installers and D1 retained users. The reports on these metrics are updated hourly and sent to your email every few hours. More accurate data on metadata and A/B tests results. The outcome: more experiments with versions of Android app’s page, a better understanding of your users, and an increase of conversion rate as the result. D1 retained users will show if you attracted the right users with your A/B tests and what test brought who. 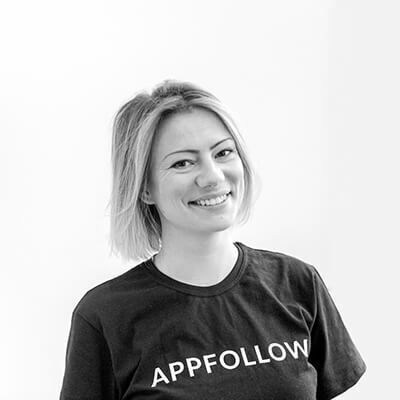 As just increasing app installs is not enough and the goal is to choose creatives that will let you acquire the users who are going to use your app regularly increasing your retention rate. This will help you push your app or game higher in search results and in the recommended list. Here are 2 things: firstly, thanks to the support of Android App Bundles by game engines like Unity and Cocos Creator app sizes started decreasing. Secondly, Google Play introduced a larger download size threshold of 150MB (against 100MB in the past). Now, you won’t lose precious installs from users who wanted to download your app or game while on the go. Google says clients who used Android App Bundles saw an increase in installs up to 19% and a decrease of the uninstall rate as apps and games don’t take that much space on your phone as before. Besides, now the Google Play Store has the same limits on downloads without wifi as the App Store. 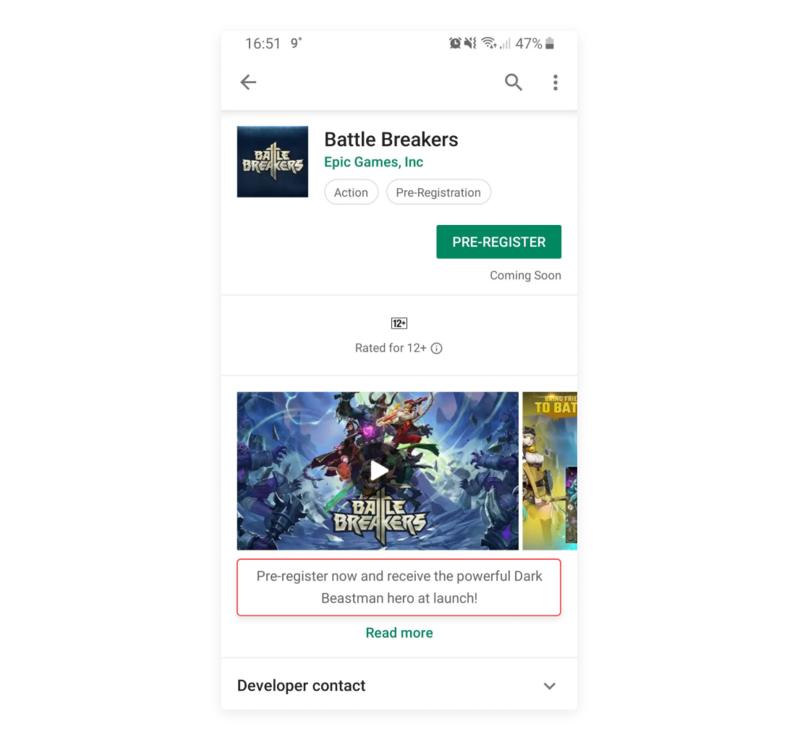 Launched in 2018, Google Play Instant allows users to try a game directly on the store listing page without the need of installing it. The update includes Google Play Instant-powered playlists, live events, and new discovery surfaces. Besides that, the partnership with Cocos and Unity plug-ins makes it easy to be built and implemented (within hours!). More ways and less friction in attracting new users who are browsing in the Play Store and through the demo together with re-engaging old users thanks to the Events section in Google Play. App owners are going to have an increase of conversion rate from visit to installs of the full version. As a result, the retention rate will increase too, as only those users who do need your app or game will install it after the demo. Which leads to less uninstalls and increase of user engagement rate. Seems like a win-win for everyone! Google advises to turn off monetization in demo games, as you don’t want your users to be interrupted when they are in your app or game for a limited amount of time. Also, according to Google’s data, “emerging markets like Brazil, Russia, India, Indonesia, and Turkey seem particularly receptive to instant games constitute over half of instant sessions”. So make sure you give a look at building an instant game or app when targeting those markets. A new cloud game streaming service at the crossroads of playing and spectating through all types of screens that is predicted to eat the console’s and PC’s lunch. Google promises a seamless interaction with games from anywhere in the world on any device, including YouTube, at the same time keeping the graphics quality as high as 4K HDR at 60 FPS. No need to install any updates and buy any devices. 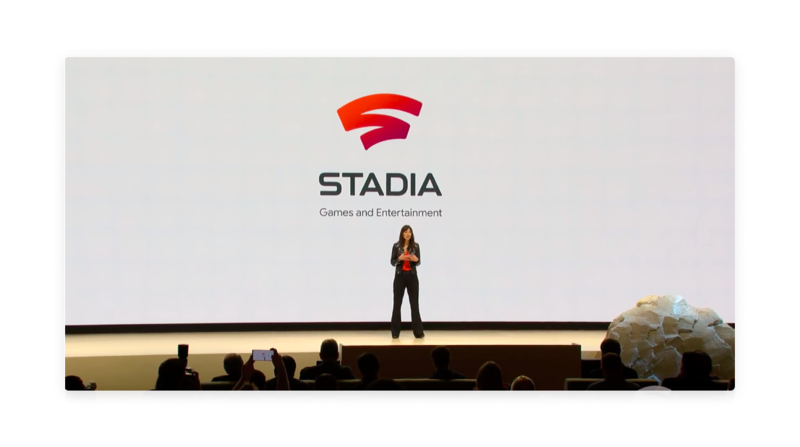 Stadia is definitely a new channel for game distribution and gaining new users. They can jump into your game directly from an add on YouTube, no additional software or hardware needed. Nothing is known about how game pages are going to look like, but it seems that all metadata is staying there, so App Store Optimization will be required. Just 2 days after GDC 2019, Apple released Arcade — the world’s first game subscription service for mobile, desktop and the living room, said to be launched this Autumn. Apple also said to help with the development of indie games. With Newzoo’s predictions about the global games market hitting $137.9 billion this year and 50% of the revenue coming from mobile, there is going to be more and more mobile games popping up in app stores. Adjusting your ASO strategy according to the constantly changing app stores rules is a must.